One particularly busy Wednesday, my officemates and I had a hankering to eat out. The desire to leave the office for an hour with good food and good friends was so strong that I decided to donate my packed lunch (which was supposed to help me save on lunch money) to someone else. Realizing that the restaurant we initially intended to eat in is closed, and luckily spying the resto right across the street which just happen to be Recipes, we decided to eat there instead. 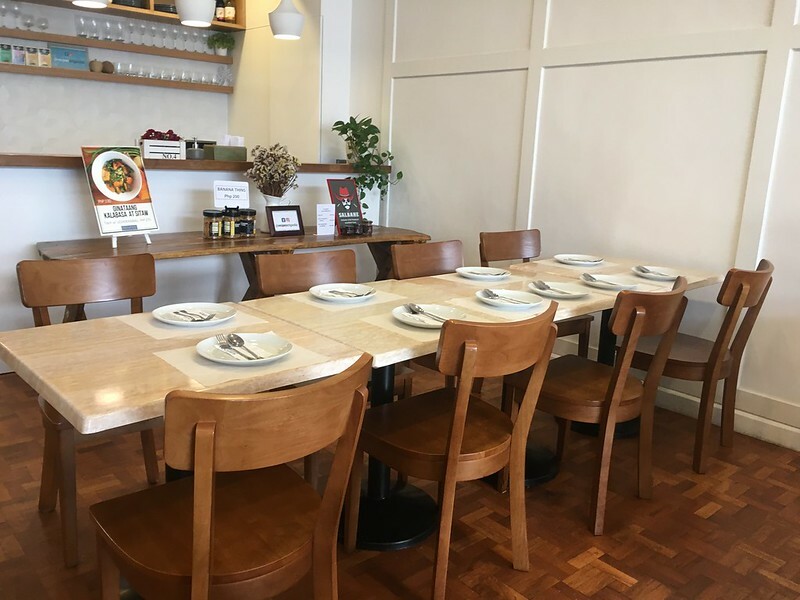 Situated in a converted house along Scout Gandia in the foodie-friendly Tomas Morato area, this relatively newly opened Recipes branch (opened just in September last year) boasts of bright and airy interiors in a dining area that can seat around 40 people, and accented by tastefully placed posters of its signature dishes. Gising-gising (Php210). Chopped Baguio beans with ground pork in a (thankfully!) mildly spicy coconut milk sauce. Crispy Tilapia (Php240). Crispy fillet strips served with a sweet and spicy sauce. 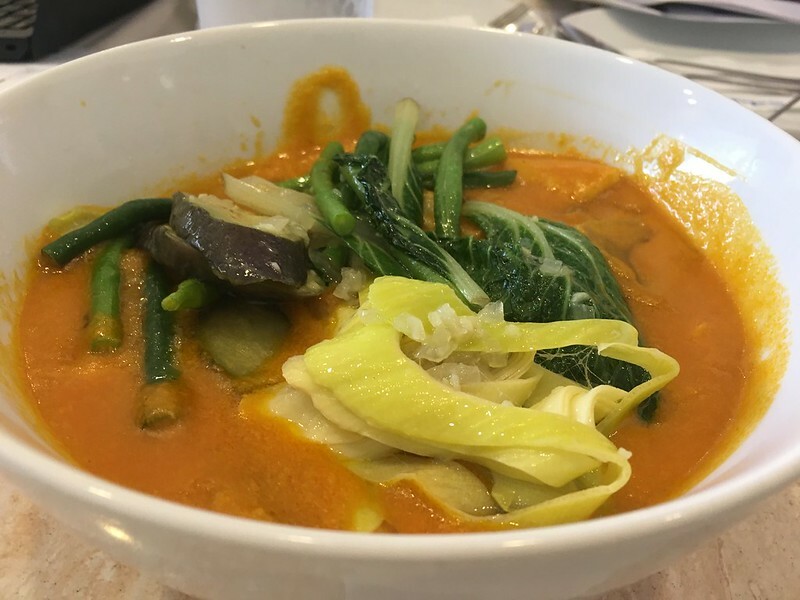 Regular Kare-Kare (Php435). 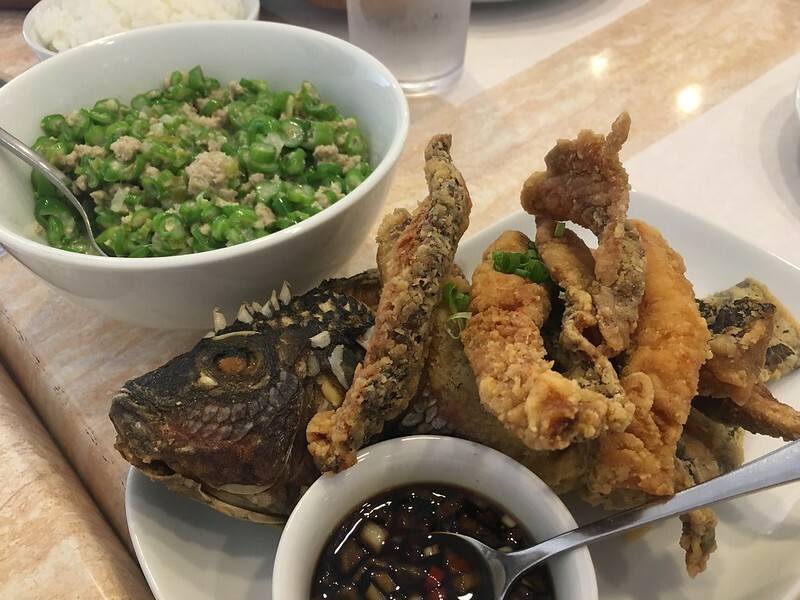 Classic dish of stewed ox tail and ox tripe with vegetables and the restaurant’s own special peanut sauce, served with a side of bagoong (shrimp paste). General’s Chicken (Php240). 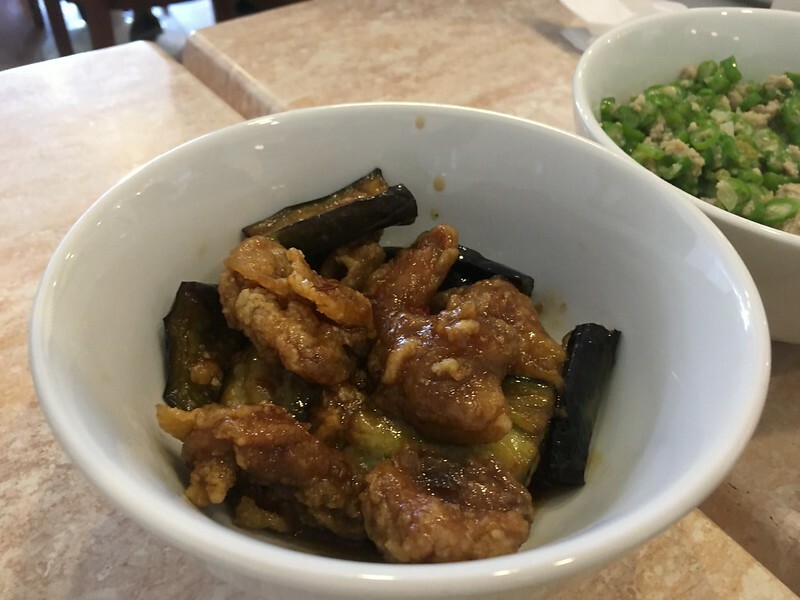 Sweet and spicy sauce-covered pieces of crispy thigh fillet chunks with eggplant slices. 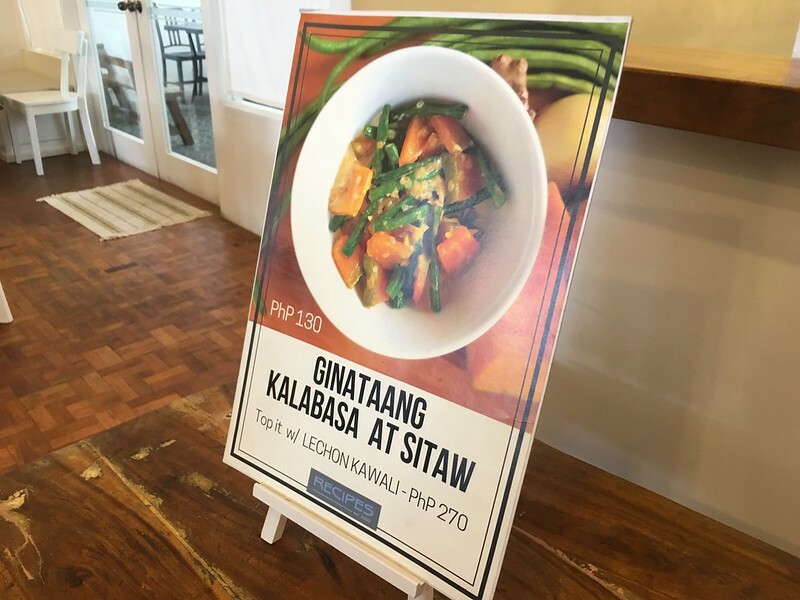 Ginataang Kalabasa at Sitaw with Lechon (Php270). 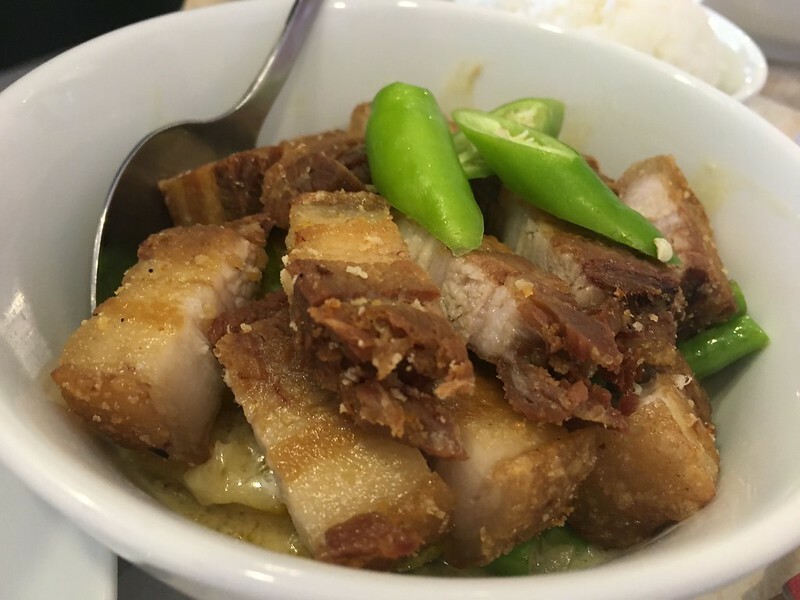 Kalabasa (squash) and sitaw (string beans) sauteed in coconut milk and topped with lechong kawali (crispy roasted pork belly). 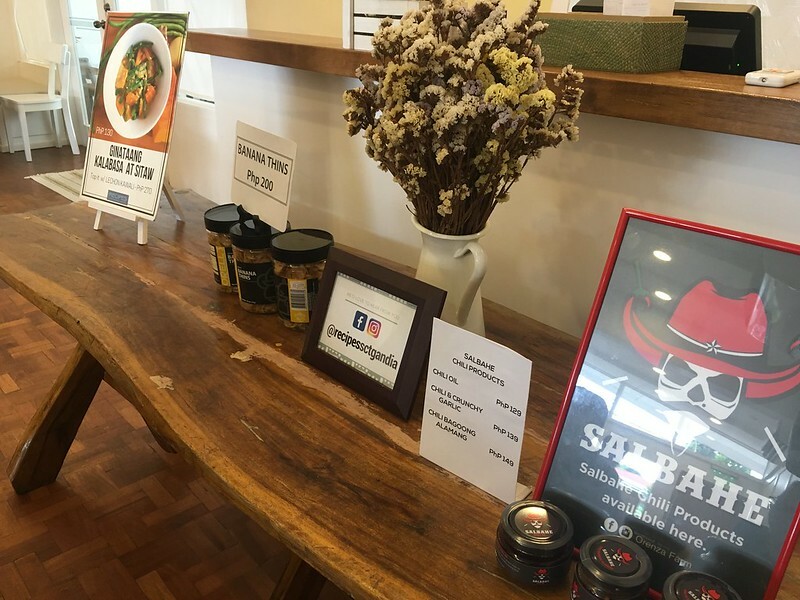 The flavors of these dishes went very well together. I originally intended to just eat half a cup of rice but I ended up finishing it off. The service staff were friendly and accommodating, quick to refill our water, take away the used dishes and even took our picture. Lunch was extra-happy with all the good food and good company and I look forward to having more happy lunches here. 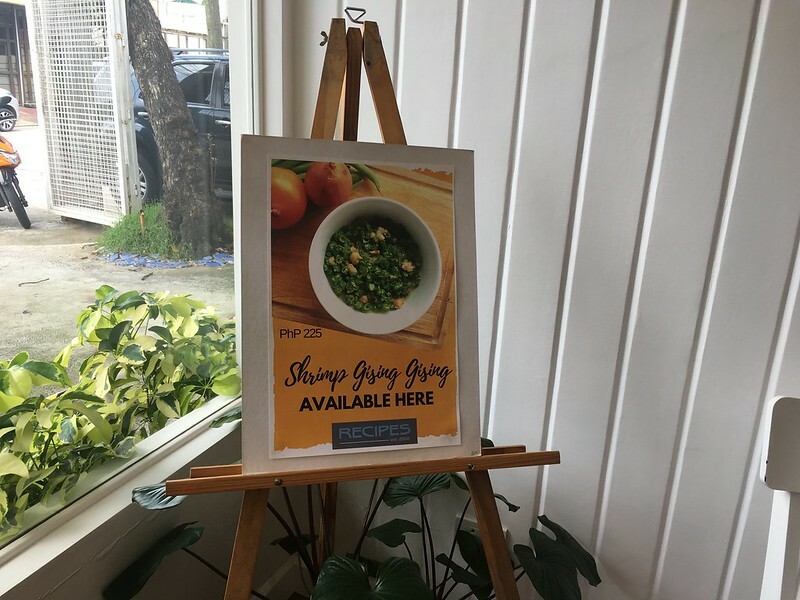 This branch of Recipes is located at 86 Sct. Gandia, Barangay Laging Handa, Quezon City. It is open Sundays to Thursdays from 11am to 9pm and Fridays to Saturdays from 11am to 10pm. For inquiries and reservations, call +63 2 6210225 and recipessctgandia@gmail.com.